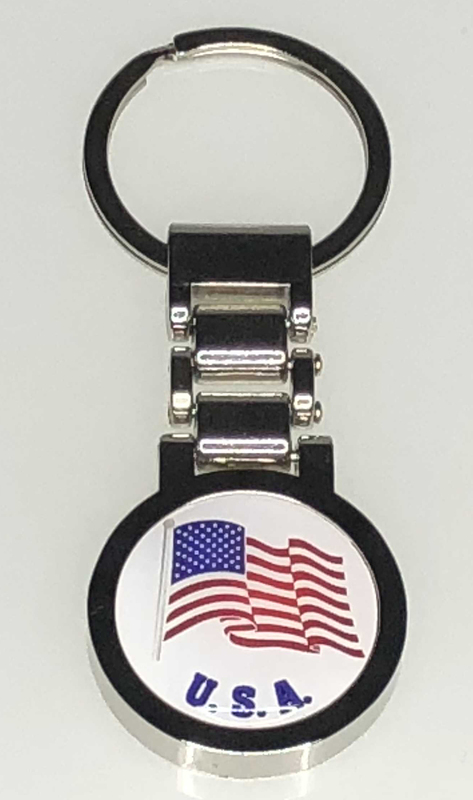 Our WATCHBAND KEY TAG w/USA flag is made from zinc alloy and is nickel plated. They measure 2 3/8" by 1 3/16" across the face. 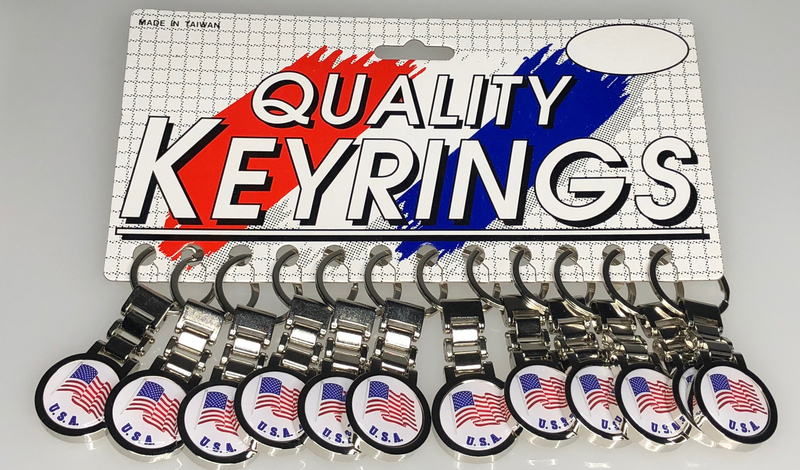 This is a quality product for a very reasonable price. Please contact us directly for any other countries you might be interested in. Packaging is bulk - 12/Bag.